Did the bizarre practice of Artificial Cranial Deformation (elongated skulls) derive from observations of an elongated celestial body? Paracas Skulls. Credit Silentlight87 Wiki Commons. Just to remind those interested: The Mars probe InSight should touchdown around 7.50 pm GMT tonight (Nov 26, 2018) Watch NASA live here https://www.nasa.gov/multimedia/nasatv/#public. Part of the mission will be to unlock geological secrets of the planets core, using a probe to dig 16’ (5m) beneath the surface. The findings should prove very interesting. 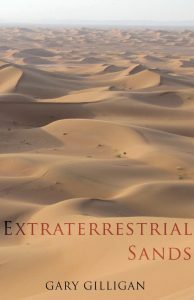 Corroboratory support for my theory that Earth’s sandy deserts, beaches, dune fields and sandstone deposits are extraterrestrial in origin. Glass made from exploding stars. The windows in are houses are quite literally allowing us to glimpse into the chaotic past of the Universe as new research has revealed that silica – the main component of glass – was originally formed inside the heart of exploding stars. Were the Dinosaurs of Mongolia rapidly buried by Extraterrestrial Sands? An almost instantaneous deluge of sand. The Amarna Period – Paradise or Hell? Akhenaten & Nefertiti with the kids. The Aten/Mercury replete with sunrays taking center stage. The giant impact that gave Uranus its sideways tilt may have also helped create the planet's moons, a new study finds. I have something similar in my book “Extraterrestrial Sands.” My only regret is not mentioning the resulting debris (moons) that would have transpired. A glowing review of my work. Please feel free to distribute. I now find that, viewed from an entirely different standpoint, it may be that sense – and possibly revelation – is at hand. To continue my analogy, this intransigent knot has been cut by the sword of enlightenment wielded by none other than Gary Gilligan (GG). He has written several books that he calls the God King Scenario (GKS). Proposal: Like so much of Earth’s sedimentary material, banded iron formations are extraterrestrial in origin. Banded iron formation (BIF) is the principal source of iron. BIF is a rock type composed of alternating silica-and iron-rich bands. Banded iron formation is economically among the most important rock types as our society is heavily reliant on iron, which is mostly extracted from this rock. Where did all the sand in the Sahara desert come from? Vast dunes of the Sahara Desert – origin: vaporised rock from the God of War planet Mars. All scholars hold the view that the primary source of the world’s quartz sand and sandstone deposits is granite rock – that is to say billions of years of weathering and erosion of granite outcrops created the sand that forms our beaches, sandy deserts and sandstone deposits globally.